<h2>TENNIS SHOES</h2>Tennis is a game of agility, speedy reactions and decisive accuracy. 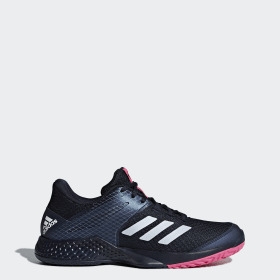 To win, you must be nimble on your feet, so having the right footwear is a real game-breaker. 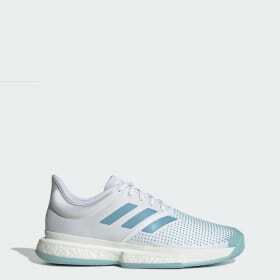 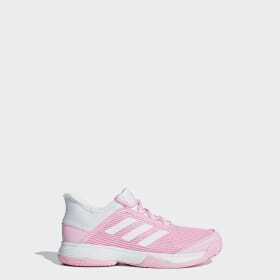 adidas tennis shoes are designed to give you the lightweight stability and supportive flexibility you need to win; game, set and match. 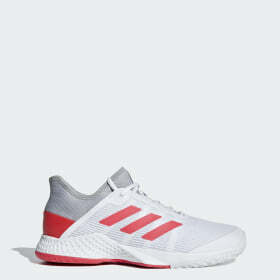 Our tennis shoes online are built for speed, with lightweight synthetic mesh uppers for breathability and unmatched comfort. 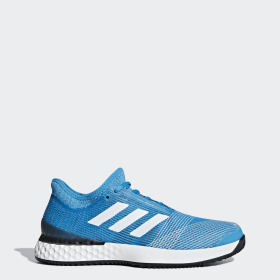 Cushioning absorbs impact and mid-foot support flexes with each pivot. 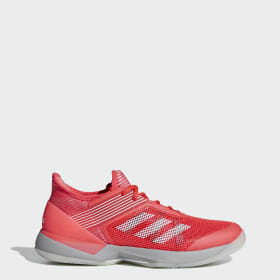 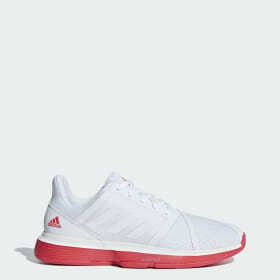 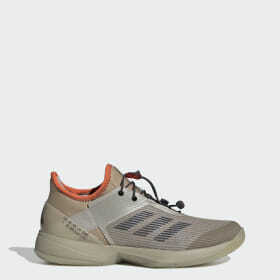 Whether your sights are set on a grand slam at Wimbledon and or a match at your local court, adidas tennis trainers and court shoes empower you to respond and attack with nimble agility set after set, after set.<h5>Choosing the Right Tennis Shoes</h5>On the court, face-to-face with your opponent with nothing between you but the net, you want speed and resilience on your side. 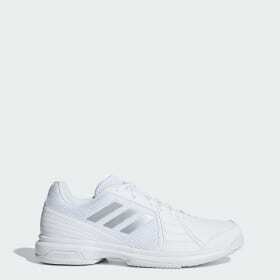 Wearing the best tennis shoes is your first advantage. 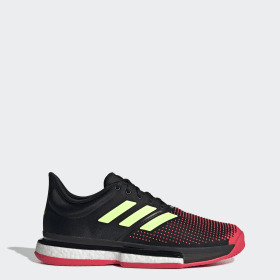 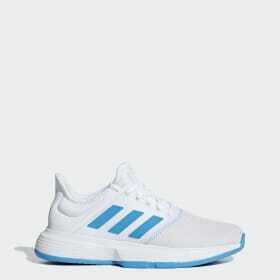 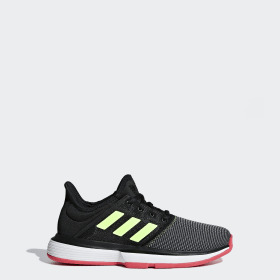 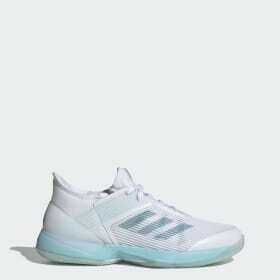 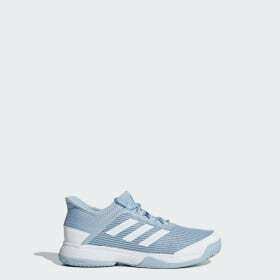 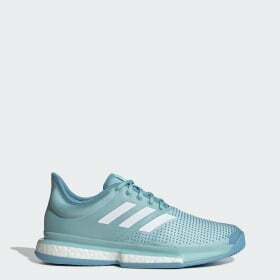 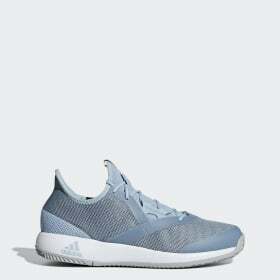 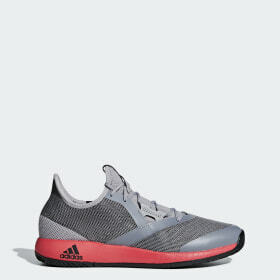 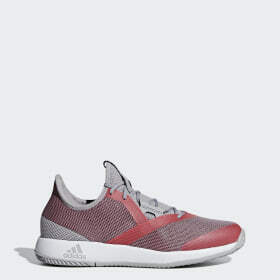 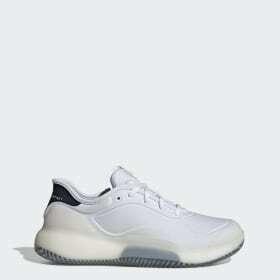 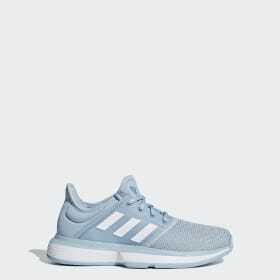 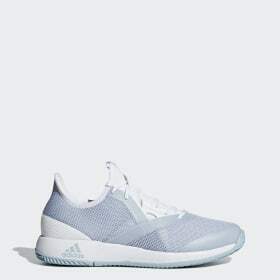 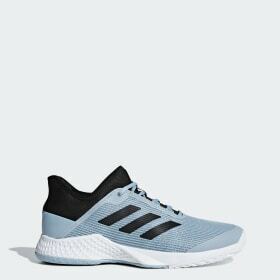 adidas court shoes and tennis shoes are engineered to put technical ability at your feet. 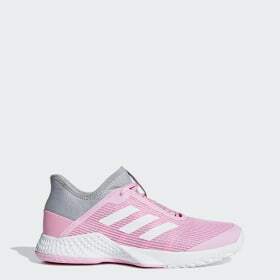 Whether you’re looking for comfort and cushioning or stability and traction, there is a shoe to fit your needs. 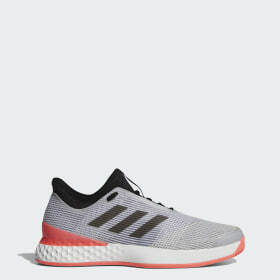 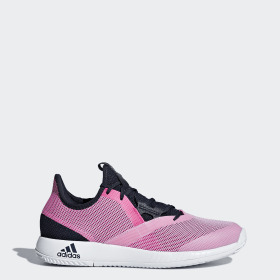 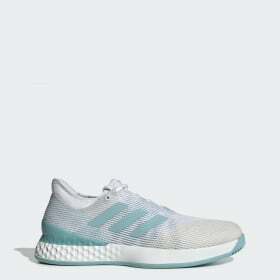 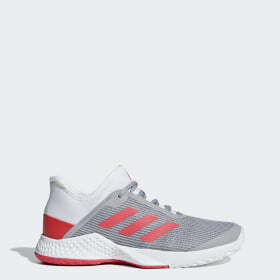 Also, check out adidas <a class="gl-link" href="/tennis-clothing">tennis clothing</a> collection to match your footwear.